You are going to Watch Naruto Shippuden Episode 382 English subbed online free episodes with HQ / high quality. Stream Anime Naruto Shippuden Episode 382 Online English sub A Shinobi’s Dream. On Gaara’s sand as they make towards the battlefield, the Kage see the Shinju and Katsuyu proceeds to explain the current situation. 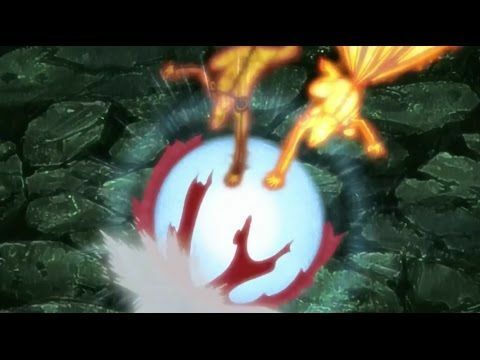 On ground, as the medical ninja come to Shikamaru’s aid after barely surviving the Shinju and all of Katsuyu’s extensions have been killed off, Naruto mourns the numerous deaths as Obito attempts to break his will once again while offering to spare those among the surviving Allied Ninja who would no longer resist the Infinite Tsukiyomi. But as his wood clone tells the Allied Ninja not to give in as Orochimaru arrives alongside Suigetsu and Karin, Hashirama continue battling Madara as the Uchiha, intending to take Obito’s place once the time comes, reveals that the Shinju will bloom within fifteen minutes. Hashirama then relays the information to everyone via Ino’s Mind Transmission to booster the allied ninjas’ morale and not to give up.